Over the past few months, I’ve been introducing denim into more than just my weekend wardrobe. Monday-Friday, I probably wear my mom jeans to work 2-3 times a week. Luckily, working in a fashion head office means it’s pretty relaxed when it comes down to style. It’s nice to have a job where I don’t have to buy ‘workwear’ pieces. An uncluttered closet is something I am actually quite proud of, and would advice any of you to do the same if you work in a chilled environment. It’s the worst feeling waking up and not knowing what to wear in the mornings and when it’s still dark at 6am, the last thing you want to do is rummage through piles of clothes, throwing together a mismatched look with questionable textures. Although todays look is far away from work, it’s most definitely transferrable into my weekday grind. Whilst holidaying in Italy last month, it wasn’t as hot as we anticipated. The mornings were cool. Culottes were a great choice for the hours of walking we had planned for the day, and adding a sleeveless layer was a good option to take me through to a warmer afternoon. 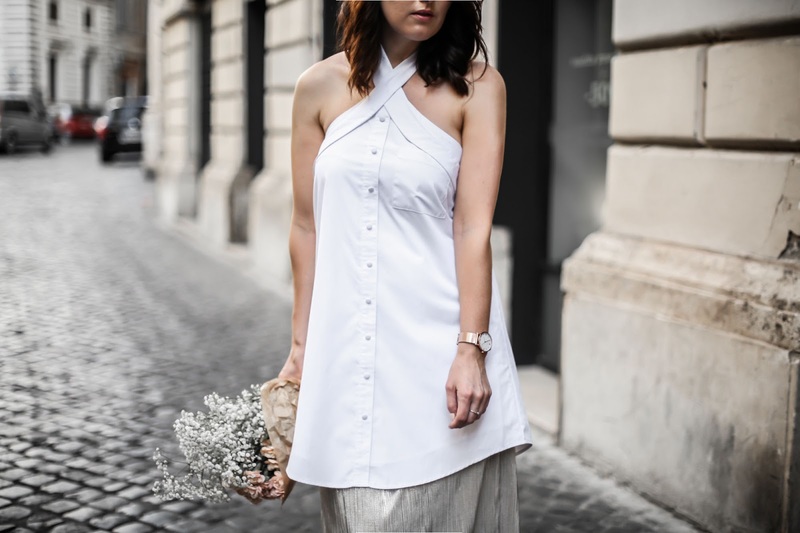 This season, silk slips and camisoles have been an addition to my staples and is the perfect piece to take you all into spring. For winter in Sydney, a tee underneath is the layer you’re going to need. Then come spring, it’s going to be perfect to wear alone just like todays look. 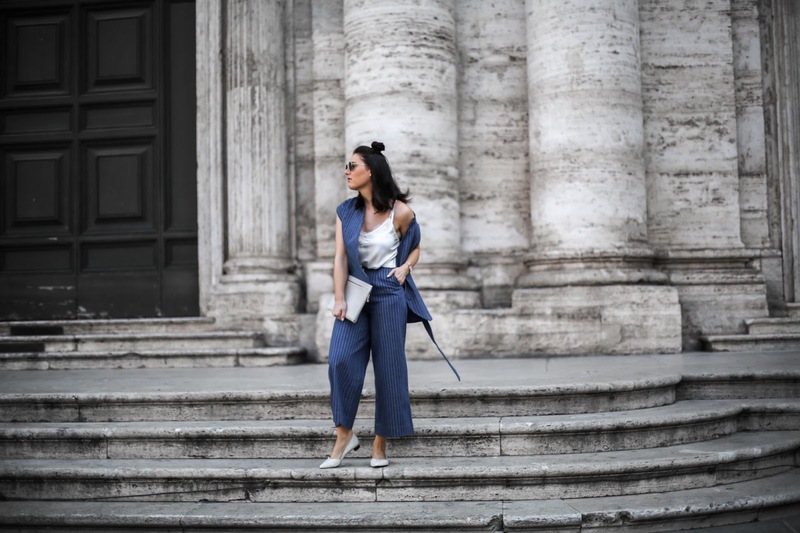 Flat shoes are a must for Rome. Totally digging the snake look to these and the low square heel is perfect to avoid getting stuck between the cobbled streets. Because hey, there were constant missions to find the best Nutella croissants so would prefer little obstacles as possible! One item that is heavily rotated in my wardrobe is the button up shirt. It’s a versatile little number that can be worn to work or worn casually on the weekends with good old denim. Is anyone else a little obsessed with the blouse this season? Whether you are Northern or Southern hemisphere, season doesn’t matter! It’s currently winter in Sydney, so trying to find different ways to style this piece. It’s not bitterly cold, so a great way to style is with a concealed layer underneath and a nice tailored coat. Try adding a pair of mom jeans and a good pair of kicks. It will give you an effortless weekend feel. Another variation is layered with a sweater over the top. Always love rolling the cuffs over the jumper with a statement watch underneath. Today’s look was shot over in Barcelona, where we experienced some rather warm weather. Although my Third Form blouse is a super soft (yet heavy) linen, it was still breathable in the Spanish heat. I decided to unbutton and pull over my shoulders and add a statement choker. There’s something so good about baring tanned shoulders on holidays. Jeans were out of the question (too hot sorry) so a pair of frayed hem shorts and a leg show were inevitable. It was such a shame about the lack of good sandals before leaving on my trip. I should have thought about this more beforehand! Saying that, my new Senso boots paired back well with my bag so it was all good! Finally back from a few weeks of travel and fun with my other half over in Europe. It had been 18 months since returning back to the UK, and has made me realise I really miss being close to friends and family on that side of the world. I really wish I could just ‘pop’ home that bit more. Are any of you guys an expat and feel me? Life is too short, so a Christmas trip is already on the cards back in Cardiff. Possibly a cheeky week in Berlin too but will keep you posted on that! Over the space of 2 weeks, we visited Rome, Barcelona, London, and my besties wedding in Spoleto. Having grown up in the UK, I knew packing for high summer would be a fail, but on the other hand it meant over packing for mixed seasons. Extra luggage fees and hauling bags unnecessarily is such a pain and will have to figure logistics better next time. Thankfully, the overweight luggage was needed as temperatures were all over the place city to city. The metallic crisp look in Rome felt feminine romantic, and it’s fair to say the mornings felt more spring like than I had anticipated. Light layers and classic Gucci loafers for walking around the maze of perfectly formed cobbled streets. FYI, the flowers in Rome are so cheap, so couldn’t help treat myself to a bunch or two! For any of you heading to Italy this year, make the most of the Piazza’s, whether it’s for just a coffee break or to appreciate the architecture surrounding you. Over in Barca, the temperature heated up. Urban vibes and beach lifestyle actually tempted us to pack our bags and move there permanently. 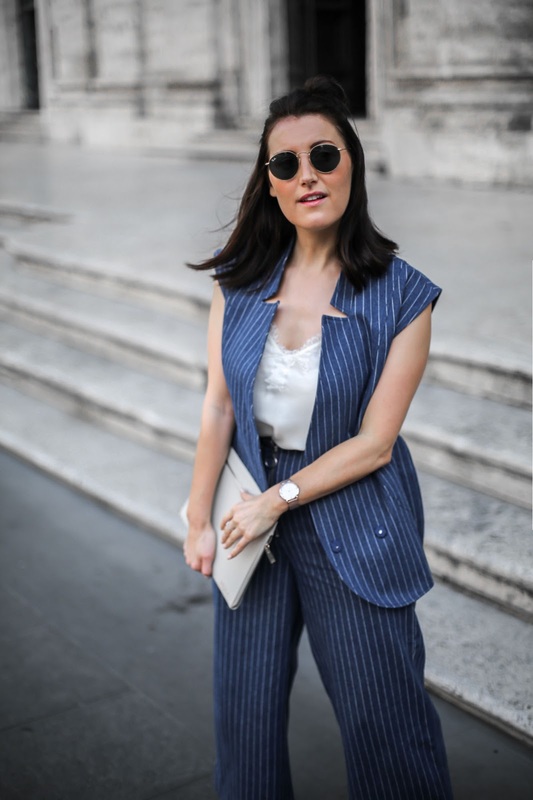 The shopping and dining are on point, which meant a city chic look which could be styled more casually for the beach included bare shoulders and stripes. 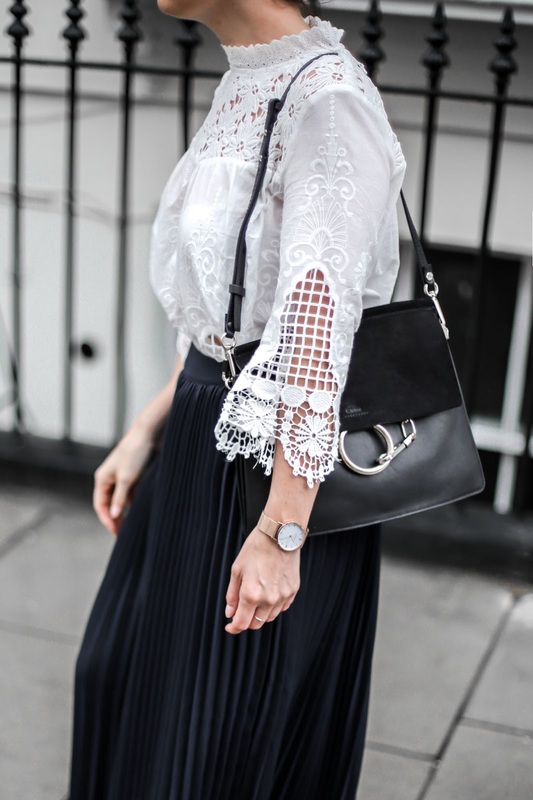 The look was finished off with my favourite Chloe bag and round sunnies. 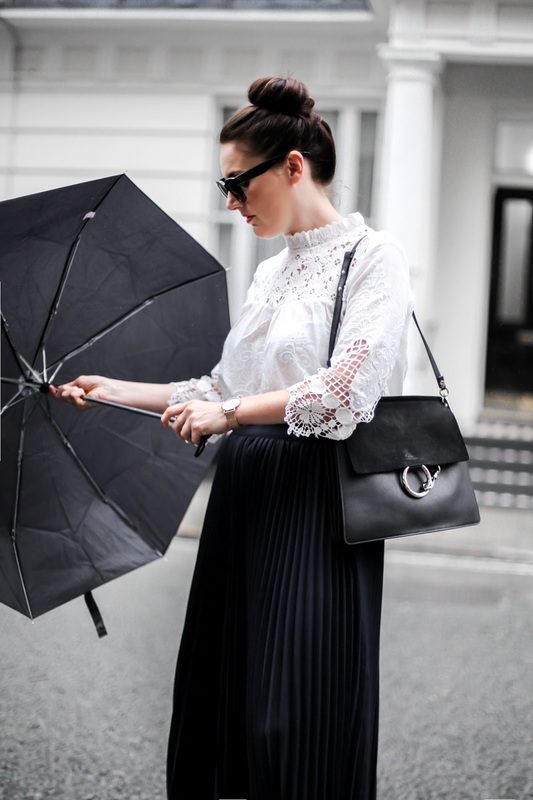 In London, the rain and humidity were expected, which meant breathable fabrics were a must. Although it felt very sticky, it looked more like an autumn's day with the grey clouds and constant rainfall. 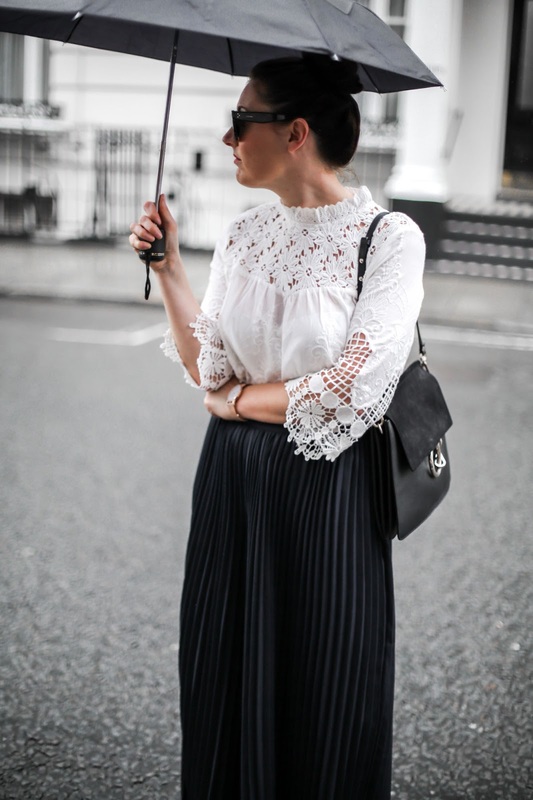 This crochet detailed top was perfect for a British summer. Accessory for this look – umbrella. Standard! I would love to hear your thoughts on my 3 city looks. More importantly, if anyone has tips or have read some great packing posts recently I would love to hear more in the comments section below. Packing for multiple seasons is so tough, I need guidance for future trips! Photo credit to my love, Chris.